The feeling of new trainers is always a great one, so when Brooks asked us to come along and try out their new Levitate and Glycerin trainers we couldn’t say no! It was a fantastic evening, with a great turn out and it even stopped raining briefly while we all did our run tour of the city! It wasn’t just trying out new trainers that made this such a special run tour, but because we got to finish off back at Eteaket’s amazing tea room where we were plied with their cold brew teas and cake! Thanks to Eteaket for hosting us, John at Brooks for giving us this fab opportunity and of course everyone coming along and running with us and experiencing the Edinburgh Run Tours experience! This is a question I get asked almost every day when I tell people that I have a running tour company. I get the same blank look from non-runners and runners alike and the question, “what is a running tour?”. A running tour, in its most simple form is pretty much a guided tour, usually of a city like Edinburgh, where you run the sights rather than walk them. You may wonder who on earth wants to do this when they go on holiday, or you might be one of those people who don’t go anywhere without packing their running kit! Joining on a running tour means no faffing around trying to find routes before you leave. It is a way of seeing a new place without the worry that you will end up getting lost and being very late back to the rest of your waiting family or to your business meeting. Having someone else taking responsibility for the run, means you don’t need to stick to laps around the park next to the hotel to get your running fix. Running with a guide means discovering the best of the city and all those parts that you may otherwise miss because they are not in the guide books. I love when people join a tour and at the end they tell you how they have seen so much more than they would have done if they had tried to do it alone. You might be apprehensive about getting a running guide. You might think you are not fast enough and that you will hold the group back; or that you cannot run far enough. With most city running tours this is definitely not the case. It is about going at a leisurely pace in order to fully appreciate the sights, learn about them and of course take plenty of selfies along the way! 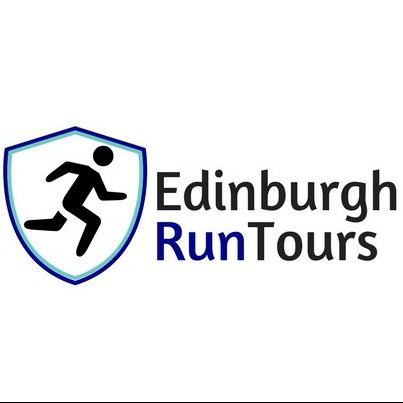 At Edinburgh Run Tours, our two passions are running and showing you around our amazing city. We want you to have the best experience possible so that you go away telling everyone how much you enjoyed it. For that reason, our tours are personalised and we keep the groups very small or just for you. This means that we run at a speed you are comfortable with and we discuss the pace and the length of the route with you before you start. Having your own guide, means a tour tailored to you; whether that is seeing the sights, going for a longer training run, or getting on the trails and trying something a bit different! If you are that person who packs their running kit with them wherever they go, then we would love to see you on one of our running tours very soon and please do spread the Running Tours word as you will find running guides in almost every city you go to! If you are in Edinburgh then make sure you look us up and if you are in another city, a great place to look for a guide is or : http://www.runningtours.net or http://www.gorunningtours.com.